With the economy continuing to lag, states have increased the number of audits performed in an effort to increase revenues for their budgets. Tax departments need intelligence and proactive approaches to potential audit issues that may impact their business â and they must be prepared for an audit and/or be ready to correct errors that may exist to minimize audit assessments. 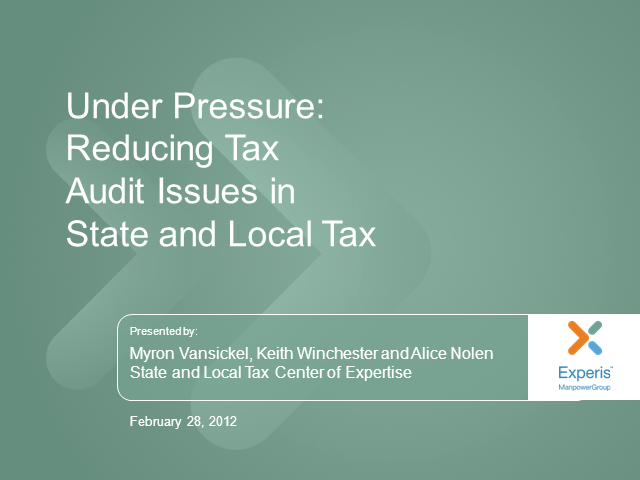 This webinar will help you identify and capitalize on audit issues impacting state income, sales/use tax audits and additional opportunities in credits, grants and incentives to offset potential audit assessments. This webinar qualifies for 1 CPE credit.